we hit up homegrown smoker last month on a friday at the tail end of their lunch service after several beers at a mcmenamins pub. because it was our first time there, we kept it simple with a combo plate, which came with a choice of 2 proteins, 2 sides, and a serving of cornbread for $8. 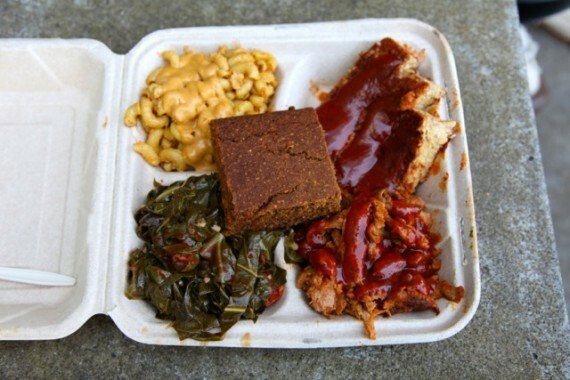 we opted for the mac-nocheese, stewed greens, chronic tempeh ribs, and smoked soy curls (all pictured above). my oh my, this combo was epic! everything about it was exceptional. the tempeh ribs were soft and smothered in tangy but not overly sweet bbq sauce, with little crispy bits around the edges. the smoked curls were hearty and flavorful—-some of the tastiest soy protein i’ve ever eaten. the stewed greens were spicy and garlicky, just how i like them, and the giant slice of cornbread was great for sopping everything up. the best part of the plate though, by far, was the super creamy mac-nocheese. this is definitely a candidate for the best vegan mac and cheese i’ve ever eaten in my life. the noodles were all mixed up in a cheesy sauce, then smothered in another heavy homemade sauce that was extra rich and noochy. so damn delicious. 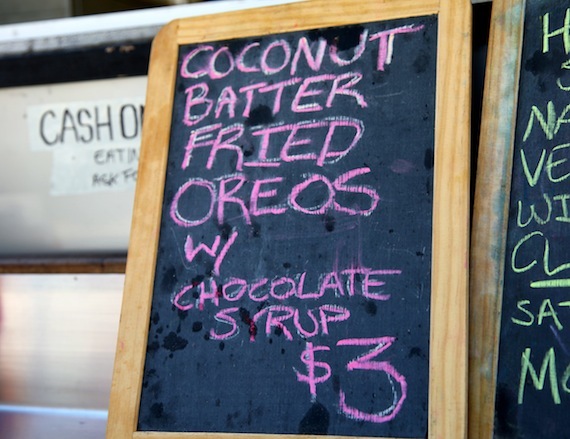 for dessert, homegrown was selling deep fried oreos. i wanted one so bad, but i just didn’t have the room in my gut. 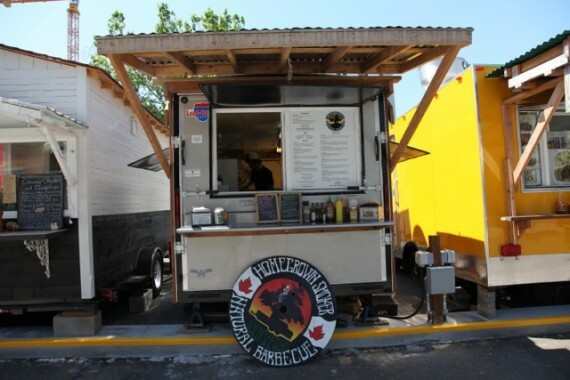 now that i know homegrown smoker has mastered the simple soul food combo, i can’t wait to go back and try more of their offerings. 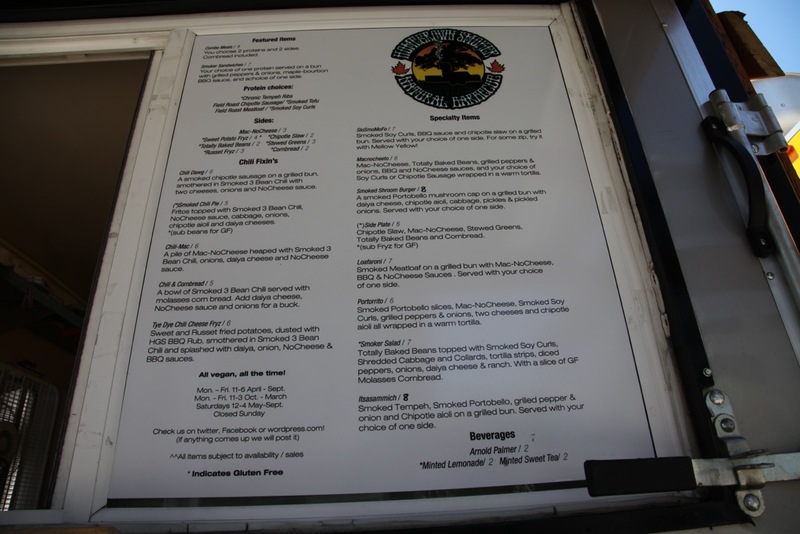 the menu is huge, and they also do daily specials. stuff like fried “fish” sandwiches, philly cheesesteaks, and jalapeno cornmeal battered eggplant. 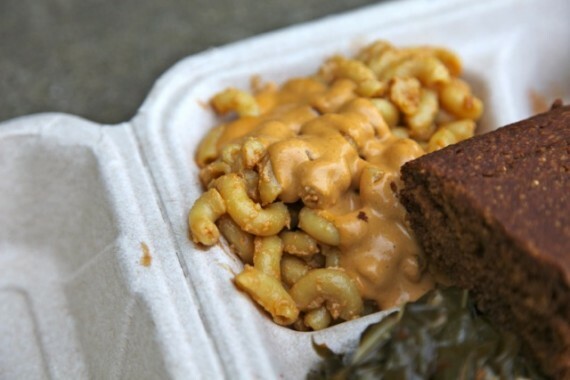 as far as vegan soul food goes, it doesn’t get any better than this place. Hooray for Homegrown Smoker! My favorite food in all SW PDX! Seriously though, that stuff is looking superb. whoa! I’m definitely putting this place on my hit list for the my next trip to PDX. Too bad you couldn’t fit the Oreos. That’s my very favorite– they taste like super fresh donuts. Ridiculous!